Renowned all over the world as the unbeatable manufacturer of industrial products, Nikon brings you a huge variety of riflescopes. Its scopes are characterized by superior quality and a plethora of features. Avid hunters all over the world have expressed their happiness with these products because of their flexibility and versatility. Low light conditions and aiming capability are made easy with the best Nikon scopes. Choosing the best among a range of seemingly identical and high-performing riflescopes can be quite bewildering, especially if you are new to the hobby. They have common features such as being waterproof, shockproof and fog proof. Other features such as the objective lens, focus range, magnification, and field of view do vary. They are actually the determinants of the prices. If you are looking for an advanced Nikon rifle scope, you have to invest a lot. Some cost over $750. The manufacturer has sought to accommodate also those with limited budgets by offering medium and high-range products. To buy the best, you need to be familiar with the important features. The table below summarizes the differences between these Nikon scopes in a nutshell. As already highlighted, Nikon produces a wide range of scopes from medium to high-range. Each comes with unique features. It is thus imperative to know what you are looking for, to meet your hunting needs. 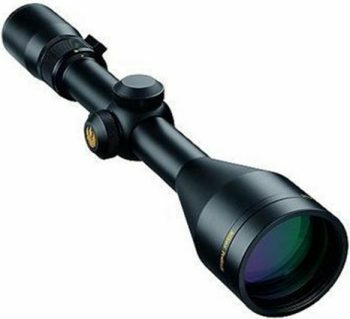 Take into account the magnification features, lens diameter, reticles, design, durability, and many more indispensable features of these scopes. It is also worth noting that the manufacturer has designed these scopes to be compatible with certain types of rifles. For instance, the AR riflescopes are made to be compatible with the AR rifles, Rimfire with the 22LR Rimfire and so on. Read the user manual to see the configurations. All the Nikon products have a lifetime limited warranty. They are filled with nitrogen and sealed with O-ring, which makes them waterproof, shockproof and fog proof. So, you can use them in a variety of hunting conditions. You may also consider purchasing accessories such as sunshades for the objective lens to protect against the dust and rain. Nikon has used polymer and aluminum in designing these rugged constructions. They are made to last a long time. All are backed by an outstanding warranty. Should you experience any problem, you may return the product to the company. The larger degree of field of view helps us to see more of your targets. It makes aiming and shooting a cinch even when given a higher magnification range. It is, therefore, important to take a look at the field of view values to choose wisely. A light weight is also an imperative feature for these scopes. But, generally, these scopes are not the lightest in the industry yet still manageable. This also necessitates the need to check if they can function well with the light rifles. Their relatively heavy weight could be attributed to the Nikon glass. For an optimal light transmission and enhanced brightness, the optics is multi-coated. Nikon uses Bak-4 prisms to enhance the quality of the optics. 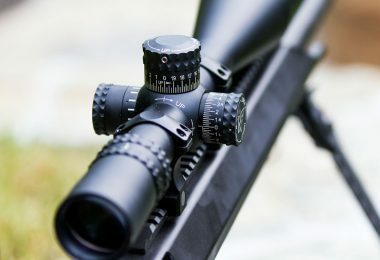 The difference is not that much with the optics because it remains the company’s benchmark in proving high-quality optics. These riflescopes are known with their excellent light transmission up to 95%. This is attributed to their multi-coated optics. Other advanced scopes come equipped with the UltraCoat Optical System for more light transmission. So, using this brand in dim lights is effortlessly easy. 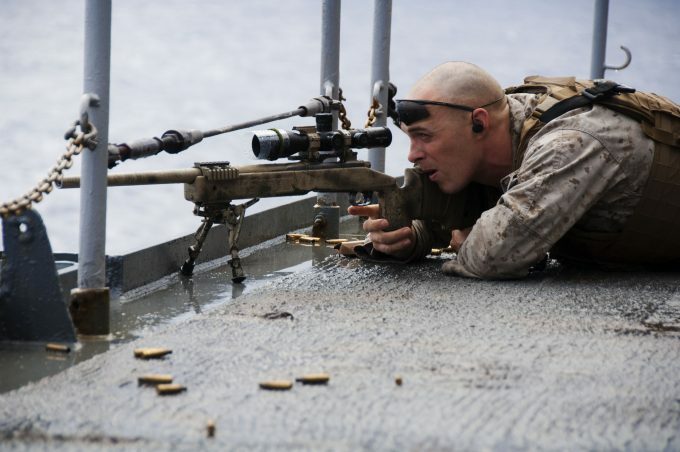 There are various types of reticles that include the Mil Dot, the cross hairs, the German style, and so on. Nikon scopes come with the BDC (bullet drop compensation) that features the open circle design. The reticles are a great add on to aim precisely at what the bullets should hit. 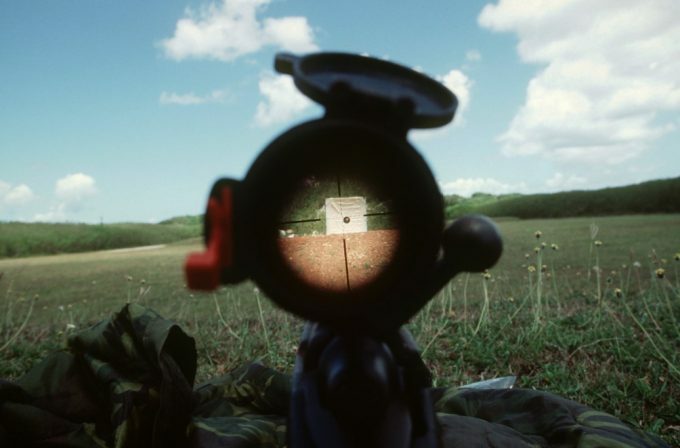 The quality of the targets is vested in the quality of magnification. Nikon scopes have a diverse range of magnifications. So, whether you aim around 100 to 200 yards or over 500 yards, you are covered. The lower range can be between 1x to 6x, while the higher range from 2x to 24x. You have plenty of options. To shoot targets at longer ranges you need a great range of magnification. Most of the advanced Nikon scopes grant you that in addition to the objective lens diameters for more light gathering. To meet or exceed your needs, the scopes come with adjustment turrets to configure the settings for a perfect shot. The spring-loaded adjustment knobs help with the zero reset. And when adjusting the features, the clicks’ sound proofs that changes have been made. These adjustment features make the scopes to be intuitive and fulfilling. The scopes have a consistent eye relief with the quick-focus eyepiece of about 4”. This keeps you safe, especially when using a recoiling bullet caliber or weapon. We’ve combed through Nikon’s full offering of riflescopes and have come up with a list that should cover you no matter the style of shooting you are looking to do. Below you’ll find our Nikon scope reviews and all you need to do is pick the one that best matches your needs. Description: The Nikon ProStaff Riflescope brings you the convenience of aiming at your target even in unfavorable weather conditions. Filled with nitrogen and sealed with an O-ring, it is resistant to the harsh conditions such as fog and water. Its diverse magnification range of 4x to 12x ensures that you have the unbeatable crispiness and clarity to aim precisely at your target with more light gathered by the 40mm objective lens. The multi-coated lens enables you to have the enhanced light transmission of up to 98% for optimal brightness in low-contrast hunting and low-light conditions. The eye relief is consistent to keep your eyes safe from recoiling cartridges and challenging shooting angles. The ¼ MOA click adjustments offer you the most flexibility. The zero setting is even quicker with the positive-click BDC reticle. Long range shooting is possible with the BDC ballistic circles and a field of view of 7.3 degrees at 100 yards. The other perks include the exit pupil of 3.3 to 10mm and objective outside diameter of 50mm. The eyepiece outside diameter is 44mm. With the zero-reset turret, the adjustment settings are even much better. The scope is backed by the lifetime limited warranty offered by Nikon. 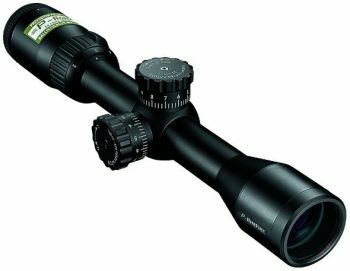 With its diverse range of features and an intuitive design, this scope is perfect for avid hunters. It has significant features to make your spotting easy despite the unfavorable conditions encountered. Moreover, it is one of the cheapest models under $200. Related: To secure and install the scope on your rifle, consider the Accushot UTG High Profile Picatinny/Weaver Rings (1-Inch, 2-Piece) and/or the AccuShot Picatinny/Weaver Medium Profile 2-piece 1-inch Rings. They are important combinations for your scope. You can actually purchase them for any of the scopes manufactured by Nikon. Description: Nikon and Buck Masters have collaborated to launch one of the best scopes in the industry. Nikon Buckmasters II BDC is the end-result of the unbeatable engineering formation. The scope features the brighter anti-reflective system of multi-coated lenses. The lenses provide optimal brightness with a light transmission of up to 92%. The magnification range of 3 to 9x provides even more diverse quality of images. You won’t be distracted by any reflective component because Nikon coats the scopes with multiple layers of anti-reflective compounds. Instead, these compounds enhance the light transmission for better targets. It also improves contrast to optimize the image quality. 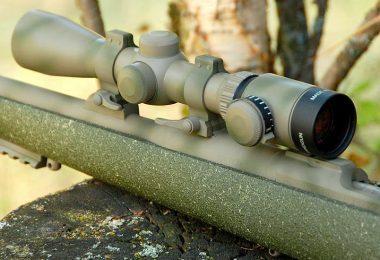 Using the composite scope in the wilderness is not a cumbersome task when given the nitrogen fill and the O-ring seal since they shield against the water and fog. In spite of its affordable price range, the scope is still impressive with its standard features. The companies made this scope to be accessible to almost every hunter regardless of their bank balance. 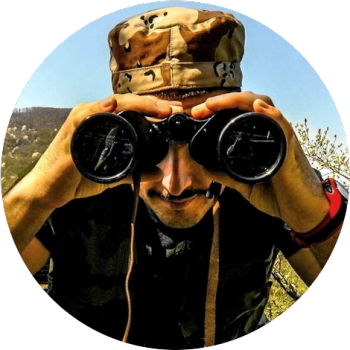 Description: Dedicated to invest in riflescopes no matter the price? With this scope, you will have to pop out over $790 to have it. This higher price tag is justified by its advanced features. Starting with magnification, it has a broad range of it, from 4x to 16x. This range will ensure that you have a wider selection of zooming capabilities to have a better quality. Meanwhile, the objective lens of 50mm will gather more light even in unfavorable light conditions. The scope’s unbeatable performance is underpinned by its versatility to be used with a broad range of rifles. 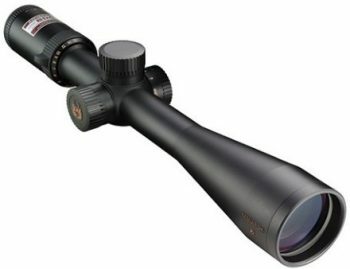 Nikon launched the Nikon Monarch 7 Rifle Scope to compensate for both the bullet drop and the wind. The scope’s main tube is 30mm in diameter. It is large enough to provide an ample headroom for windage and elevation adjustment. The aluminum alloy provides you a lightweight and compact riflescope. The expensive price comes with the Eye Box Technology that delivers a brighter image of your target. For a recoiling weapon or bullet caliber, the scope has a consistent eye relief. Other significant features include the spring adjusted zero turrets and parallax adjustment that enables you to configure the shot before shooting. Description: The Nikon P-RIMFIRE BDC 150 is one of the most affordable riflescopes found under $200. Such an incredibly low price does not compromise important features needed for hunting purposes. Like all other Nikon products, it features BDC reticle with a shooting range from 50 to 150 yards. The target can be zoomed with the diverse magnification range of 2 to 7x, and more light gathered by the 32mm objective lens diameter. Eco-Glass lenses with multi-coated anti-reflective compounds provide more light transmission features. Made of polymer and aluminum, the scope’s rugged construction will withstand the inclement outdoor temperatures. 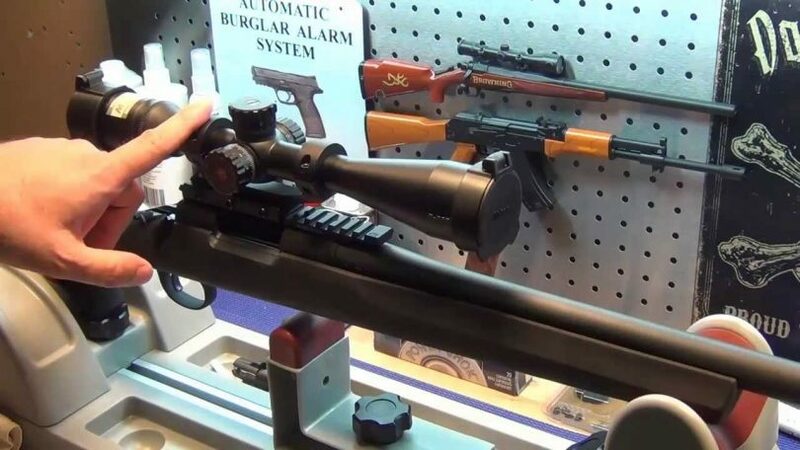 The company has tailored the scope for RimFire AR platform rifles and .22 long rifles. You have two options of the reticles. It can either be the BDC reticle or the Nikoplex reticle. The other feature to note is the Nikon’s Rapid Action Turret system. Related: For a convenient mounting of the scope on the rifles, you may get the Nikon P-Series Riflescope Picatinny Mount for 1 Inch Tube. 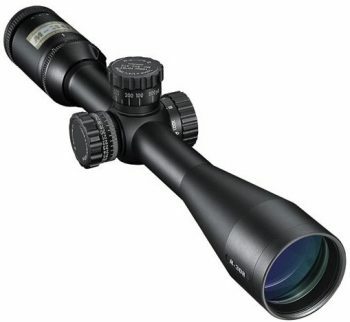 It is a strong and lightweight alloy construction compatible with 1-inch scopes. 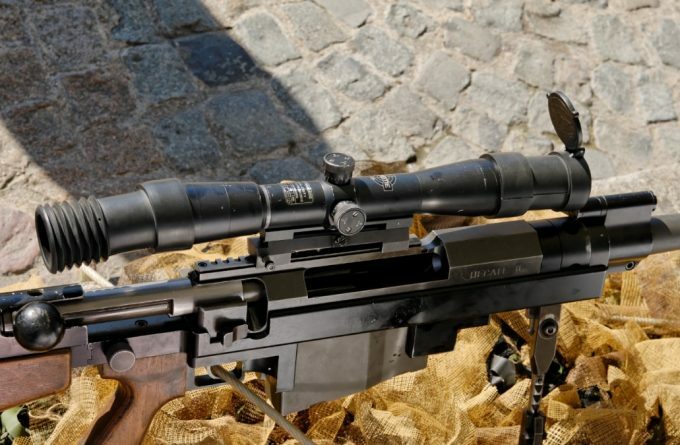 Description: The Nikon Prostaff Riflescope could be your best companion for all your hunting needs if you are on a budget. Its price value comes with a fully multicoated optical system that transmits light up to 98%. This is sufficient to make sure that you have the best image quality. It also works in your favor during unfavorable light conditions. With the eye relief of 3.6 inches, your eyes have enough safety from recoil prone cartridges. And to spot and shoot at longer ranges, the scope has the BDC reticle and a quick focus eyepiece that measures 12.4 inches. It is also easy to adjust the settings with the featured spring-enhanced knob. You will also have the zooming capabilities with the magnification range from 3x to 9x as well as more light gathering with the 40mm objective lens. The design is made compact with aluminum. Other features to be boastful of including the impressive Field of View about 11.3 to 33.8ft at 100 yards, ¼ Max Internal Adjustment. The exit pupil is 4.4 to 13.3mm. With the O-ring seal and nitrogen fill, the scope is made to be water and fog proof. Should any defect happen, the company offers you the workshop and materials lifetime guarantee. Related: Secure and mount the scope with the Nikon P-Series Riflescope Picatinny Mount for 1 Inch Tube Picatinny Mount is strong but lightweight. Description: The Nikon M-308 Riflescope is an advanced riflescope by Nikon. You got to be serious about investing in riflescope because it costs over $450. This high price comes with an extensive range of features. The first noticeable advanced feature is the BDC 800 reticle for long range focus at 800 yards. If you are hoping to aim at targets far away, this is the best tool for you. With the quick-focus eyepiece, you will be able to acquire your target instantly. And you will be able to zoom with a diverse and large range of magnification from 4x to 16x. The range makes the scope a great addition for heavy caliber rifles. Be assured of the quality of images with the fully multicoated optical system. Furthermore, the waterproof, shockproof and fog proof makes it easy to use the scope regardless of the harsh climatic conditions. Related: To protect the objective lens from dust and rain, we recommend getting the Nikon Monarch Riflescope Sunshade To mount the scope, you may consider purchasing the Nikon M-308 1pc Mount w/ Built-In 20 MOA Slope. Description: The Nikon P-223 BDC 600 offers the opportunity to aim at targets located 600 yards away. With such an affordable price, everyone can afford hunting and shooting precisely with the BDC reticle. 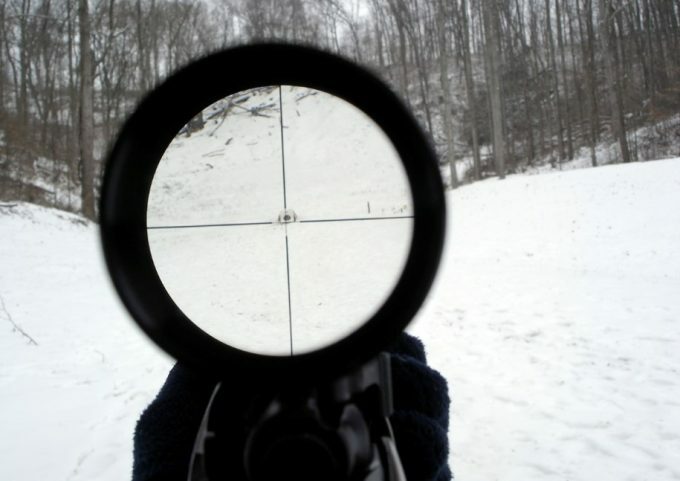 The reticle delivers a unique open circle aiming points from 100 to 600 yards. So, you can shoot the targets accurately and conveniently. 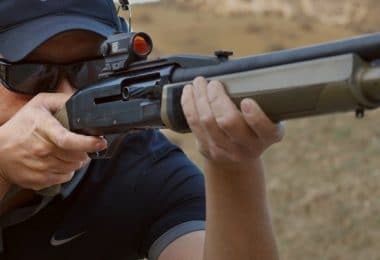 If the rifle is prone to recoil or you’re shooting at weird angles, the consistent eye relief can keep your brow safe. The zero-reset turrets and the ¼ MOA are some of the superior features that make this rifle unbeatable in its price range. And for more precise shooting, the 100-yard parallax setting will help you eliminate parallax to achieve that. If you are accustomed to hunting amid harsh temperatures, the scope’s rugged polymer construction with its water and fog proof will have you covered. Although it’s a medium range scope, its features are quite impressive. Its zooming capabilities with the diverse range of magnification from 3 to 9x are something to be boastful about. Related: To mount this riflescope on the weapon, we recommend the Nikon M-223 Riflescope Picatinny Rails Mount for 1 Inch Tube. It provides the proper height, forward position, and the eye relief. 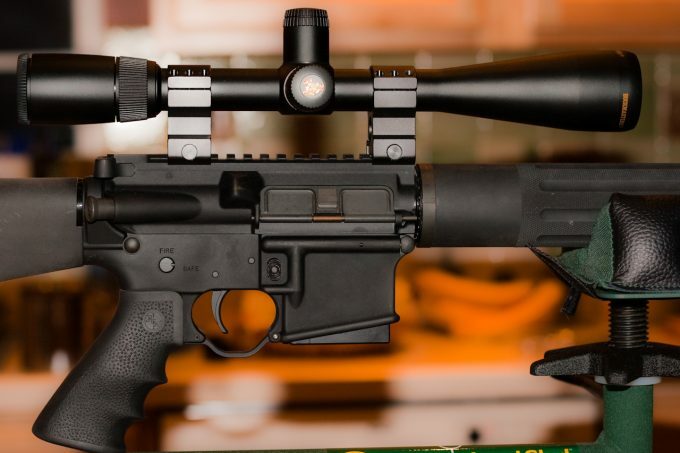 You can actually mount on any AR rifle. 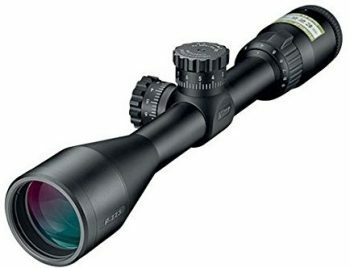 Specific features: BDC reticle, 3.5 to 14x magnification, zero-reset turrets, a quick-focus eyepiece for quick target acquisition, 40mm objective lens, multi-coated optics for maximum brightness. 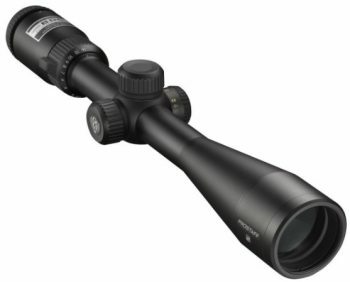 Description: The Nikon PROSTAFF 5 BDC Riflescope comes with an exceptional and diverse range of magnification of 3.5x to 14x, although the highest in Nikon’s range. The objective lens diameter is 40mm and helps in light gathering. 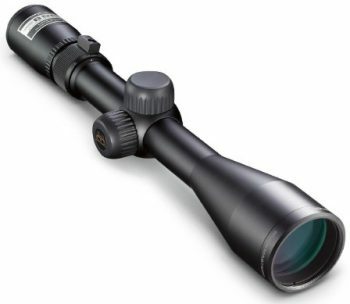 To enhance brightness and light transmission, the scope’s optics are fully multi-coated. This makes it easy to aim at the targets even at dawn or dusk. The scope is tailored and optimized for use with the Spot On Ballistic Match Technology. The other enticing features are the optical system and the hand-turn reticle adjustments with the spring loaded zero-reset turrets. They make shooting an absolute breeze and convenient for all hunters. There is no shooting randomly at the target because of the Spot On Ballistic Match Technology. The field of view is also sufficient, so shooting at long range is not a big problem. You’re all covered in any situation, including extremely low light conditions. Nikon backs the scope with the lifetime limited warranty. Relatively costly with over $250. Related: The scope is easily secured with the Nikon S-Series Med. Rings Black Matte Steel. It aligns the scope to ensure that no slip. It also protects the optics. Description: With Nikon ProStaff Rimfire Riflescope, you are able to focus at 50 yards with up to 98% light transmission. This feature makes it possible to use the scope in extreme low light conditions. The multicoated optics provides, even more, brightness to make sure that you capture images with high quality. The scope is made to be weatherproof with its nitrogen filled and O-ring sealed design. The other interesting features include the reticle adjustments with quick zero reset turrets. If any default occurs, the manufacturer backs the products with a full lifetime warranty. Related: Since there is the note on Amazon about the product not being available, we found out the company has released the new model Nikon P-RIMFIRE BDC 150 Rifle Scope. It also comes impressive features with a long range of 150 yards. Arriving at the end of our comprehensive list of Nikon scopes reviews, we are hopeful that we’ve helped you make a great decision. It transpires that Nikon has a broad range of riflescopes, many of which share identical features such as magnification range. So, it isn’t easy to pick the best among them. What’s needed is an informed decision. Alongside the scopes are the related products such as the mounting rings. They help secure the scopes in place on various rifles. Once going through or using the Nikon scopes, you might see no need to try other brands. The products come equipped with all the features you would wish for. Have you used any of these rifle scopes? Please share with us your experience in the comments section below.